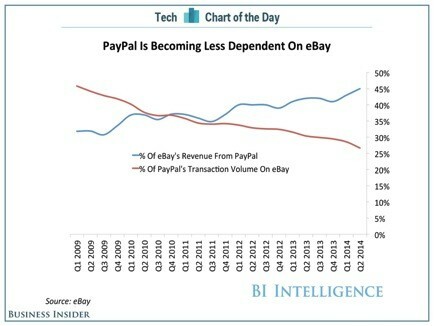 In the U.S., we’re still playing catch up in mobile payments. 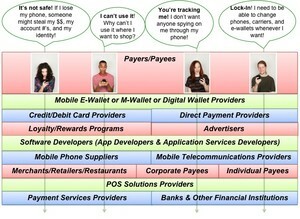 Elsewhere in the world, mobile payments are much more commonplace. 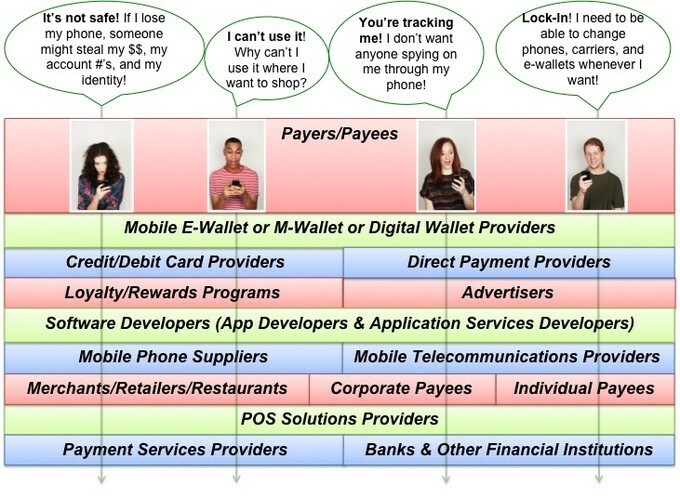 Paying for things using stored value on mobile phones, texting funds to a friend or family member, or debiting your bank account in real time as you board the subway or buy a coffee are common occurrences. Yet, in this country, those actions are still rare. Judging from the hype in the press about mobile payments, we act as if the fate of the U.S. economy depends on whether and when mobile payments take off. Investors are placing big bets on whether consumers will prefer Apple Pay vs. Google Wallet vs. Softcard vs. Pay with Amazon vs. CurrentC, etc. 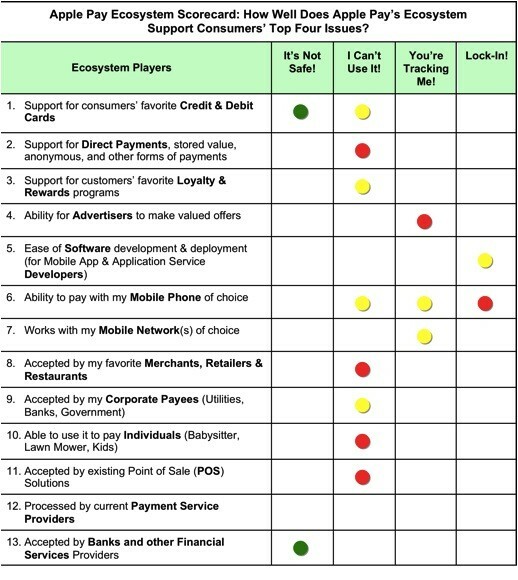 But remember, it’s not just a matter of which mobile e-wallet wins the most marketshare, there are at least six layers of providers in a mobile payment ecosystem. 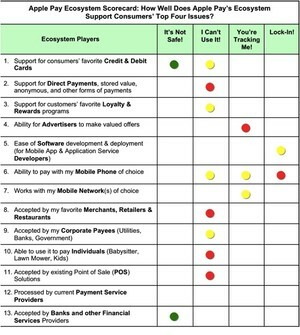 All of the players need to work together seamlessly to provide a secure, friction-free solution for paying at the point of sale with our phones. It’s not safe! If I lose my phone, someone might steal my money, my account numbers, and my identity. I can’t use it! Why can’t I use it where I want to shop? You’re tracking me! I don’t want anyone spying on me. Lock-in! 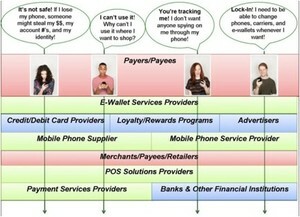 I need to be able to change phones, carriers, and e-wallets whenever I want. 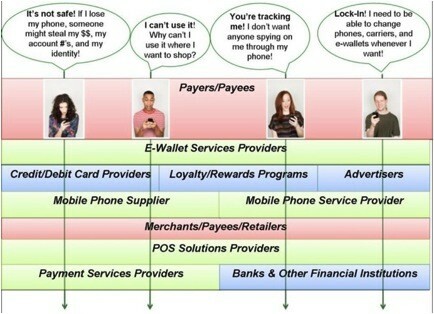 Over the next few weeks, we’ll take a look at how the major m-wallet ecosystems deliver on these four moments of truth. Blackberry’s Fate? Why Not Ask the Customers? Ok, so the company is called Research in Motion—familiarly known as RIM. But most of us think of it as the company that makes Blackberries—the mobile phone that won the hearts and minds of busy people all over the world—people who are addicted to email. My husband is a great case in point. He owns a Blackberry, an Android, and an iPhone. All have all the same functionality. All can answer calls to any of his numbers. But the one he panics if he doesn’t have? The Blackberry. Why? Because he’s addicted to email—both watching it arrive and making sure he doesn’t miss anything (which you can do on any phone), but also composing thoughtful emails and replies. Like Winston Churchill, he works from bed many early mornings—answering correspondence and sending out marching orders and learning and thinking about world events. The rest of the day, I often find him sitting in front of his computer, but typing on his Blackberry, not the computer. As he points out, the combination of a 2-thumb keyboard and a trackball for precise positioning of the cursor are pre-requisites for a high volume mobile email consumer and creator. I too am currently a Blackberry user. I’m not happy about the downhill trajectory of the brand and the company. 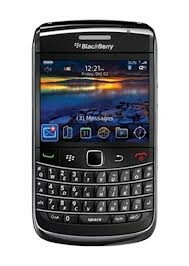 I rely on my workhorse Blackberry because I conduct most of my business and personal correspondence via email. And try as I might, I have yet to find another mobile phone that comes close to Blackberry’s productivity. 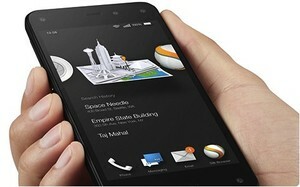 Pay with Amazon from Your Mobile Phone? Sometimes when my spider-sense tingles, it’s hard to back it up with concrete evidence. So I may be going out on a limb this week by suggesting that Amazon’s rebranded payment service (yawn) “Pay with Amazon” could become a major player in mobile commerce. Why do I think that this seemingly innocuous announcement, which took place at a payment systems conference, Money 2020, on October 8th, 2013, is an important 3D chess move by Master Bezos? First, I’m not the only one who found this announcement significant. Nigel Powell of RedFerret fame blogged that Pay with Amazon “will completely change the face of online retail.” But I’m sticking my neck out a bit further (with no real evidence) to say that I believe that Pay with Amazon is coming soon to your mobile phone. What I like about the idea of using Pay with Amazon on my phone to pay for things I buy is that it leverages the investment I’ve already made in entering all my credit cards and payment info and account information into Amazon—a trusted shopping partner I’ve been using for years. And I won’t have to worry about the fact that, if I lose my phone, someone can gain access to my money or my credit cards. They remain securely locked away in Amazonland.